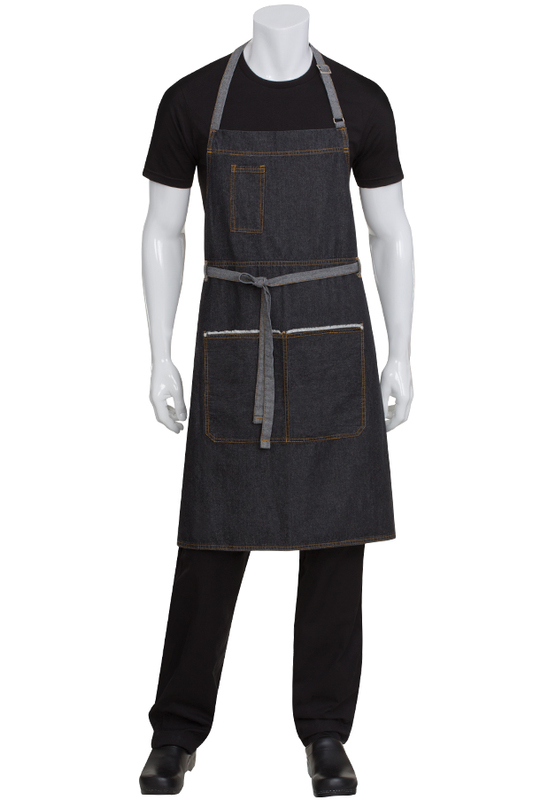 The Bronx Bib Apron is manufactured in 100% cotton denim. The contrast ties have been created by using the reverse of the denim fabric. Belt loops have been added for convenience of securing the ties at the waist. 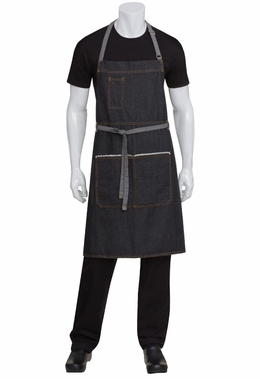 This server apron features a large divided pocket with frayed top edge detail and riveted pocket ends. The off-set chest pocket add visual appeal and handy pen storage. - Wears just like your favorite pair of denim jeans. 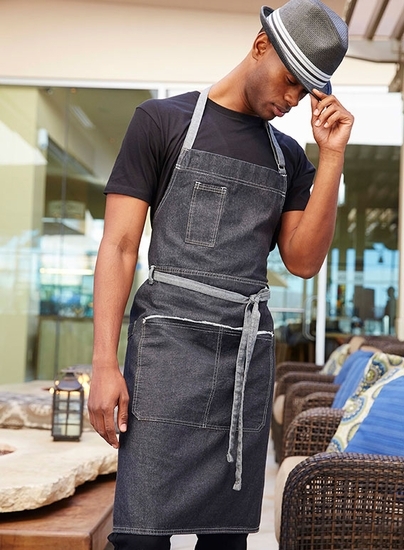 The Bronx Bib Server Apron is available in your choice of Black or Indigo Blue. The blue denim is accented with white thread stitching, the black with orange stitching.